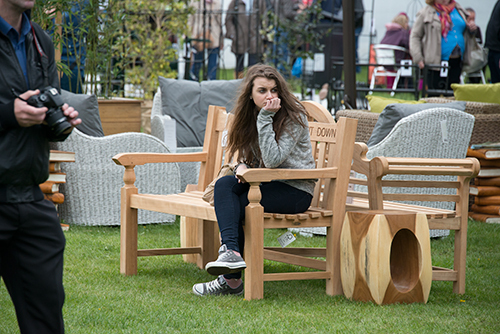 This shot was taken at a RHS garden show in Cardiff. 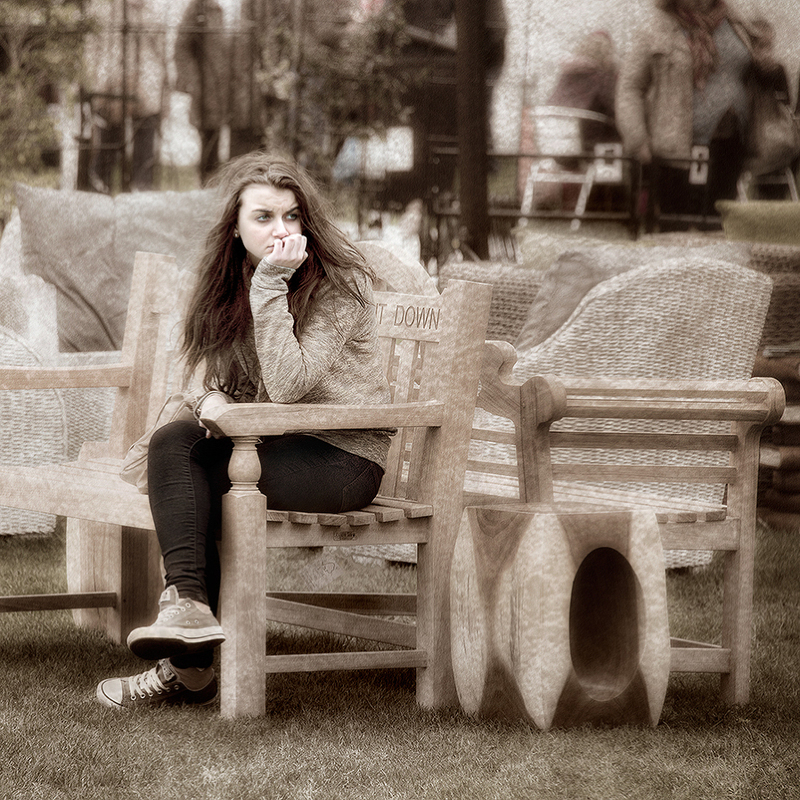 I noticed the girl looked a little forlorn and, with only part of the inscription on the bench showing the word ‘Down’, I thought it made a good image (See original image below). After cropping to a square format, the Paper Toner Nik filter was used to convert the image to a sepia tone with a layer mask to remove the effect from the girl’s face. The Glamour Glow filter was then applied to give it an ethereal quality and a series of darken/lighten centre and Viveza filters was used to adjust the lighting. Minor distractions were removed with the clone tool. I added textures I had taken in Cuba and Morocco and, finally, the girl’s face was sharpened selectively using the High Pass filter with a layer mask. This image has had 13 International acceptances including 43rd Photographic Society of New York International Salon of Color Photography 2015 (USA), Tallaght International Salon of Photographic Art 2015 (Ireland), Bristol Salon of Photography 2016 (England) and 2nd Swedish International Small Print Exhibition 2016 (Sweden).